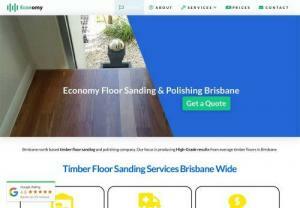 Economy Floor Sanding Brisbane are timber floor sanders, polishers and repair specialists. Our floorboard sanding service extends to staining, pest and water damage repairs and beyond. We focus on the detail and offer high end service and produce floors of distinction for our clients. Take the time to view our floor sanding case study page. Here you get an insight into what we encounter and how we turn our clients floors into stunning features of their homes.